Greetings from New York: Rick is sightseeing in New York before spending 11 days on a New England cruise…followed by 4 days in Quebec. Two days after returning home, he will head out to Michigan. 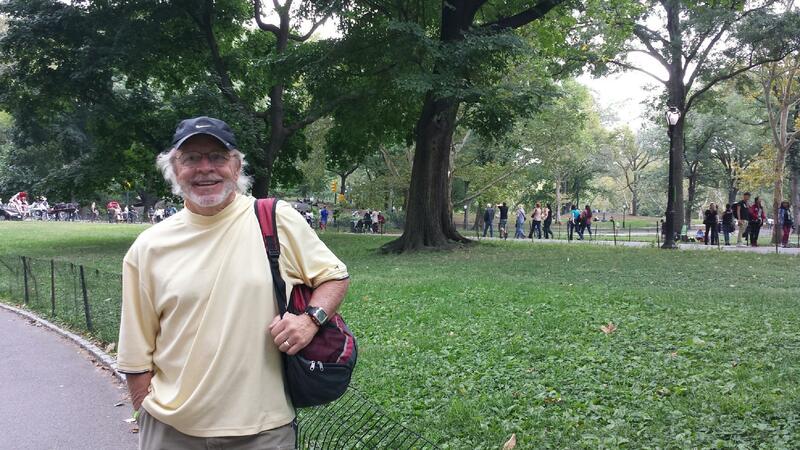 Here’s a pic of Rick in Central Park. He plans to do a 6 mile run here on Monday. Welcome LUZ and Welcome Back RANDY!!! Luz joined us for runs on the last 2 Saturdays. Randy came out and ran with us again this past Saturday. Belated Birthday Greetings LUZ!!! Luz celebrated her birthday last Friday. We hope you enjoyed your special day, Luz. Is anyone doing Griffith Park in November?